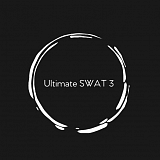 SWAT 3 - Juega gratis en PacoGames.com! As time went on, you became commander of a SWAT unit and now you are the person who is planning all upcoming missions and is always in the frontline of every battle, so iconic for your teammates... You are experienced in extremely dangerous missions against the most powerful terrorists in the world. You have fought against people who had access to nuclear and biological weapons. You protected the president or the Queen. The number of your successful missions is approaching nearly a hundred and in a while, students will be writing academic works about you and your military career... This time, you are sent to a mission which you cannot be prepared for. All you know is that the enemy will be armed to the teeth... Are you looking forward for this massacre? You definitely have a reason! Have fun.